What's New in this Lightroom Release > Lightroom CC iOS/Android Updates > Lightroom goes mobile with the release of the iPad version! 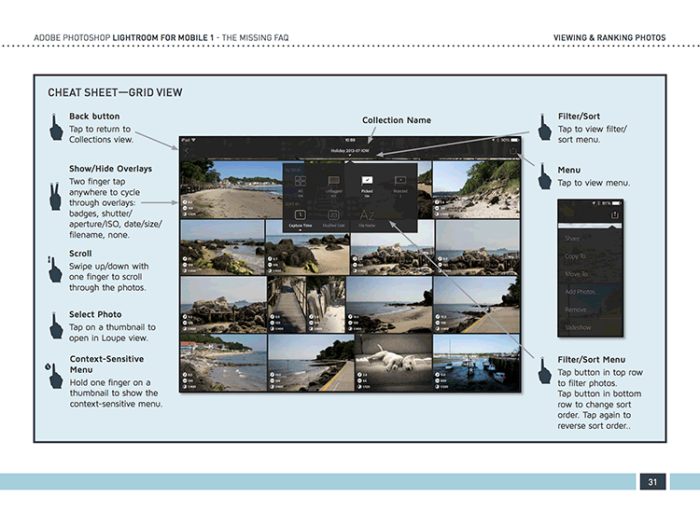 Nearly a year ago, Tom Hogarty gave the first public sneak peek at Lightroom on the iPad on The Grid. Now it’s your turn to play! 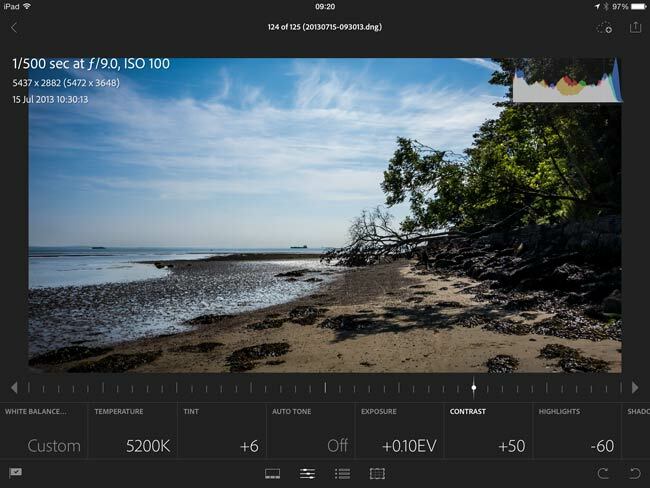 Adobe has just announced the public release of Lightroom mobile 1.0 for iPad. Initially released for the iPad (iPad 2 or later, or any iPad mini, must be running iOS7), with additional devices to follow, it allows you to sync your photos from Lightroom 5.4 on your desktop to the Lightroom Sync cloud, and back down to your mobile devices. Using the Smart Preview technology introduced in Lightroom 5, smaller versions of your photos, including raw files, can be synced to your mobile device without taking up too much bandwidth or space. Once the photos have downloaded to your iPad, you can browse through them while relaxing on the sofa, traveling on the train, or even sitting on the beach (although you might want to be careful about getting sand in your iPad!) If you know you’re not going to have internet access, you can cache them for offline use. Unlike many other apps, however, you’re not just limited to browsing. Lightroom mobile allows you to refine your photos, marking them with flags and as rejects, and those changes are automatically synced back to your desktop Lightroom catalog. It can be difficult to decide whether a photo’s worth keeping without first making some basic Develop adjustments, so Lightroom mobile goes further, allowing you to edit the photos on your iPad. And like the flag status, these non-destructive Develop settings are also synced back to the desktop. Finally, you can share your edited photos with others directly from your iPad, displaying a slideshow, sharing via Facebook, Twitter or email, or by sending them to another app of your choice. What happens if you don’t have your iPad with you, and you want to show someone your photos? That’s no problem either. You can simply visit http://lightroom.adobe.com using any web browser, for example, using your mobile phone, and log into your account. From there you can view your collections of photos, and you can share public links to those collections with friends and family. The best news is it’s FREE if you have a Creative Cloud subscription, either for the full Creative Cloud or for the $9.99/month Photography Bundle. That bundle is a fantastic deal! The Photography Bundle includes the latest version of Lightroom (so that’ll include LR6, when it’s released), the latest version of Photoshop CC, 20GB of CC cloud space, Behance Portfolio membership, PLUS it now includes an unlimited amount of Lightroom Sync space. So how do you get started? Download Lightroom 5.4 from these links – Windows / Mac – and install it, or update from the Creative Cloud system tray/menubar app if you’re already a CC member. 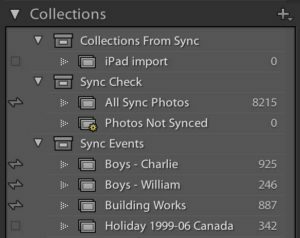 Click the Identity Plate to sign in with your Adobe ID, then add a special sync checkmark next to the Collections you want to sync. You can watch the upload progress in the Activity Center. Then go to the App Store and download the Lightroom app. It may take a short time before it’s available in all countries, so check back later if it’s not available yet. You could spend a few hours tapping around the app, and figuring it out as you go along, but there are some hidden tricks and workarounds I think you’ll want to know about, so I’ve created a 98 page eBook to save you some time and help you get the best out of it. 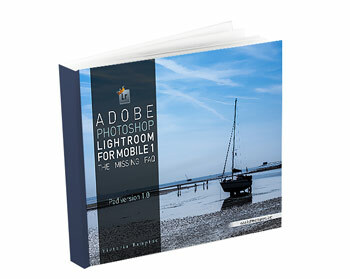 The Lightroom mobile for iPad book costs just £3.95 GBP – that’s about $6.50 USD* – and it comes in 3 popular eBook formats (PDF, ePub, Kindle). I’ll continue to update it as new version 1 features are added. Even if you’re not sure whether Lightroom mobile will fit into your workflow, you’ll have all the information you need to quickly make a decision. Tempted? Here’s the purchase link to get your copy for just £3.95. If you haven’t read my Lightroom 5 book yet, you might want to read that too, so I’ve created a special bundle at just £18.50 GBP – that’s about $30.50 USD* – for both. 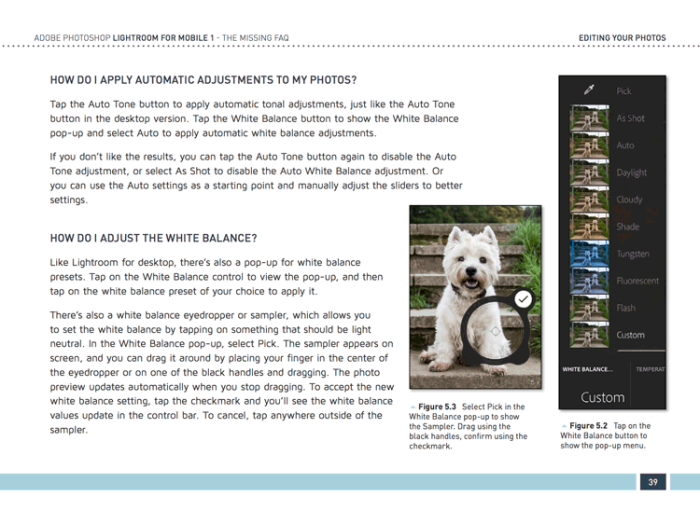 That includes the Lightroom 5 and Lightroom mobile for iPad books in PDF, ePub and Kindle formats. Here’s the special bundle link. * Approximate currency conversion calculated 4 April 2014. Actual currency conversion from British Pound Sterling will be calculated by PayPal or your card company. First the above LR download link does not work (yet ?) same as the update in creative cloud. Second how does the LR mobile support the workflow I have today in importing JPEG with EyeWifi , do the picks & ratings , then sync to PC LR catalog with photosmith and the ratings &picks are applied to the RAW file = easy delete of raw files not picked ? 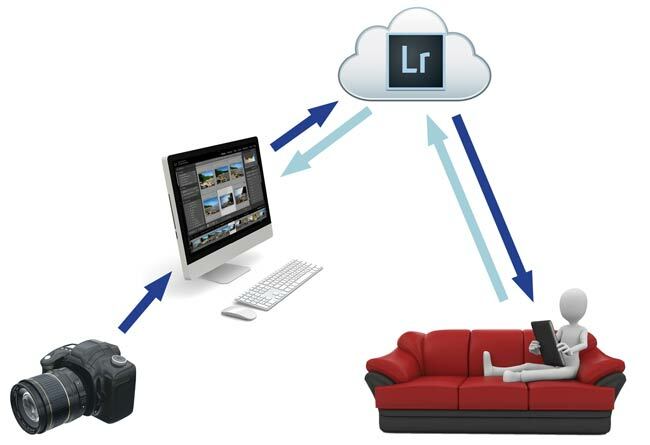 Will LR mobile sync new JPG file information to the raw file after import in PC LR catalog ? Hi Bjoern. Thanks for letting me know about the download links. I’ve just updated it with one that’s definitely working. LR mobile won’t do ratings yet, just flags. But the information does sync back to your catalog automatically. It doesn’t automatically tie up with matching raw files, but the Syncomatic plug-in can do that for you. Would be much more helpful if all of that would work with a second computer instead of an iPad app. I wouldn’t be at all surprised to see that in the future. This lays the groundwork for a lot of possibilities. I agree, having the ability to sync between multiple machines would be great. The license does allow two machines and I use that — desktop for home processing, laptop while on the road. I have yet to find an easy way to sync between the two. I keep my catalog on Dropbox, which syncs to both computers, but you have to be really careful to make sure it’s fully uploaded/downloaded before switching machines. A proper built in sync would be ideal. Yep, I think nomad was thinking of being able to sync two computers, rather than a computer and an iPad. While it’s great that Lightroom has finally made it to the iPad, it’s next to useless for those of us who do not use Creative Cloud and have no interest or need for it or can’t afford it. I would have bought it even if they had charged a premium price, like $20, or even $20 per year, but I can’t justify Adobe’s subscriptions. Have I missed some special low pricing? Hi Bob. I’ll be surprised if they ever get the price down that low, sorry. Bandwidth and cloud storage for that much data doesn’t come cheap. I was really surprised they even included it in the $9.99 deal! Thanks for the reply Victoria. Sadly, I agree with you. Someone has to test it! 😉 I wish I could write a book overnight, but I’ve been working on it for a few months. I’m currently on the photographer’s $9.99 bundle and have been for some time. Do I qualify for LR on my iPad? I am always grateful for Victoria’s information, so thanks so much for the information your provide. I agree with Bob in that this will be nice app that I will never use because I would never use it enough to justify paying the fees. Maybe if I my living depended on photography, but not as a hobbyist. Oh well, maybe with time. I have no desire for Creative Cloud nor the iPad app. If I update Lightroom to 5.4 will it work for me as always without having to log in somewhere and be connected or should 5.3 be my last version of Lightroom? Sorry Bob, it wasn’t me! No idea where you post went, as I don’t moderate except for spam. Yes, 5.4 will carry on working just like 5.3. This is only an added extra, for those who are interested. It’s an app I’d have been interested in having on board. But I don’t – and won’t – use Adobe’s subscription business model. Exercising that choice has already locked me out of the current version of PS. It now locks me out of LR for iPad. What’s the next lock-out? LR 6.0? I’m beginning to think I’d better have a Plan B and begin to look at alternative cataloging software. Hi Michael. I’d be surprised if they went subscription-only for LR6, although there could well be more new features that require cloud access. Obviously there are ongoing costs with providing a cloud service. How would you feel if you could continue to purchase perpetual software licenses, but had to just pay an annual fee for cloud access? Would that be a good compromise for you? That’s an interesting wee comment :). I don’t need and I don’t want Adobe’s cloud service. I’m therefore not going to pay for something I don’t need. And I suspect I’m not the only one. It would therefore depend entirely on the extent to which Adobe intentionally cripple or materially compromise the functionality of the software for those who buy “only” a perpetual licence rather than cloud subscription. Methinks I might need that Plan B sooner rather than later! Don’t read too much into it. There’s no agenda here. I have no influence over Adobe’s pricing and I don’t yet know what features will be in the next version. My thought was the comment earlier about multi-computer sync potentially being added to the next version – likely utilising the same cloud technology – and would need a subscription. But knowing that many people don’t like renting software, I wondered whether perpetual software license plus a lower cost subscription (for those who do want that feature) would be a viable compromise. No clue whether they’d actually consider that though!! Yes, you dont want to pay 120/yr for the latest verion of lightroom, ps:cc and lr:m when you could simply pay $100 each year for the latest version of lightroom. Im with you !! I love everything new, and now have the iPad version of Lightroom. Since I am very ‘tight’ about how I run my catalog ship, all coming from one central folder on my external computer hard drive, do you see any complications that could happen by using the iPad version of Lightroom? In other words, can I just use it to access photos that are already there and leave it simply at that for a start? I understand that you can do develop modifications also which I assume will be there to copies of images you can make which will then also be accessible to Lightroom 5 on the computer. Is this correct? Hi conjobo. 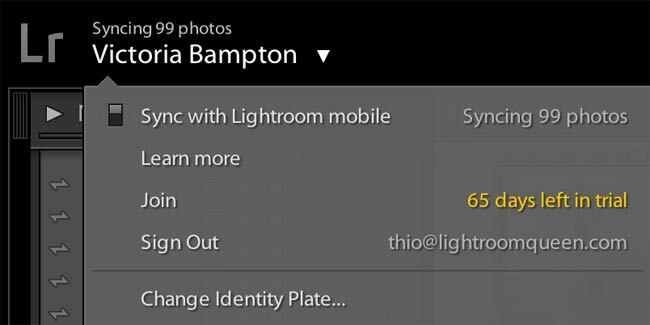 Nothing can happen to your photos themselves – Lightroom mobile doesn’t use the original photos and doesn’t let you rename or delete or anything like that. 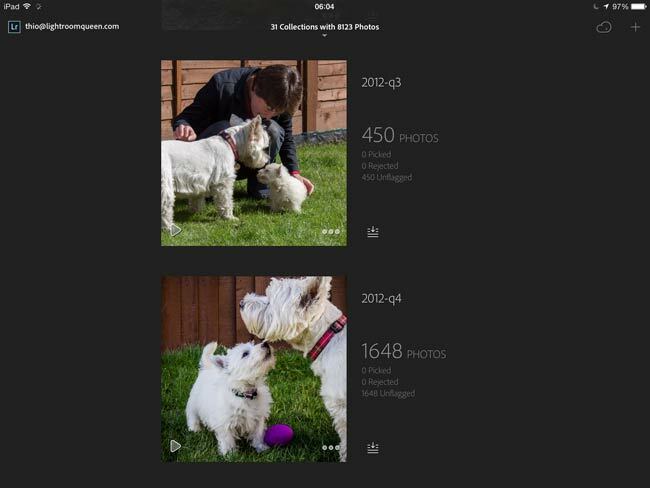 When Lightroom syncs the photos to the cloud, it creates and syncs smart previews, so they’re entirely separate. 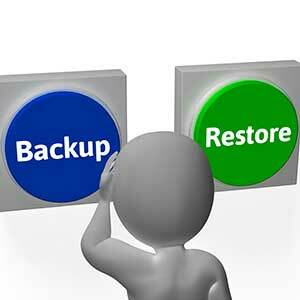 Only thing to do – which you should be doing anyway – is back up your catalog regularly, just in case you mistakenly change a load of settings while you’re playing. Ah, True wisdom. Thank You Victoria. Thanks for that insight. My main interest is I like to draw with SketchBook Pro on the iPad and having my photos at the ready in predictable places that I understand and know will be a great added tool for that alone. PS, I don’t know where that ‘conjobo’ moniker came from but I quickly changed it back to my name like it should be. I’d never considered that kind of use for it. What a great idea! Just a simple question.. I have the free Adobe Cloud membership which allows to test apps for 30 days and gives you 2 GB of online storage… can I use this 2 GB of storage to work with few synced photos on my ipad LR mobile app or does it absolutely need a premium membership? In Italy the LR+PS bundle costs about 200$ a year, so it would mean 400$ every two years, i.e. every major release of LR, whose upgrade would cost me “only” about 95$.. I know PS is really a good software, but I’d like to have at least the possibility to subscribe only to LR given the Italian prices (it seems that the dollar to euro conversion is done the wrong way, i.e. multiplying dollars by 1.37 instead of dividing them by 1.37)..
Hi Gianni. No, the Lightroom Sync space is separate from the CC online storage space, sorry. BTW, I hope LR6 won’t be subscription-only, otherwise it will cost too much for people like me that are not professional photographers. Not at this point in time. If enough people request it, they might consider it. The “Sort” does not appear to support “User Order”! And, unless I am missing something, it seems to choose the sorts that is currently selected which rearranges my “User Order” chosen to tell my story. The user order option shows whatever user order you have set on the desktop. It doesn’t (yet?) allow to rearrange them on the iPad. Help – What am I missing? Nothing, it’s my memory failing me – user order didn’t make the cut in the end on mobile, sorry. How does on tell a story? …Without changing your naming convention? This wonderful new feature… So close – Ugh! Chronologically? Yes, you can’t rearrange into a different order without renaming at this point in time. I have a question about Smart Previews, since I’m trying for 30 days LR Mobile.. LR uses Smart Preview technology to sync photos to the cloud, but does it generate and store a smart preview also locally in LR on my MacBook Pro? Are they the same Smart Previews I would generate on my own by clicking on “Generate Smart Previews”? If smart previews aren’t already on the computer, it generates them on the fly and then trashes them when it’s done uploading. If you already have smart previews, it goes ahead and uses them. Thank you Victoria, I think I’ll buy your small LR Mobile book just to get the answers on little questions like this one 🙂 thank you for the quick answers! What happens when we enable offline editing for a collection? Does it download smart previews only when it is enabled, otherwise it simply downloads an already rendered (by cloud) version of the image with the settings you’ve chosen on the iPad? If it’s disabled, it only downloads the smart preview for editing when you browse to a photo, and the rest of the time just downloads thumbnails until you look at the photo. If it’s enabled, it downloads the smart previews for the whole collection in advance. What I’m really afraid of is doing something wrong on the Ipad app that changes my photo, then it syncs back to my LR desktop catalog and screws up my best pictures. Is there a way to prevent this or only allow photo’s to go to the Ipad? I really don’t have any interest in editing or flagging, I just want an easy way to have collections appear on my ipad. Hi Chris. No, there isn’t a way to mark them as read-only (although it’s a great feature request), although the worst you’re likely to do is accidentally change a flag rating – and that shows up with a big overlay so you could easily undo it. Or you could create virtual copies and only send those to the sync collections. 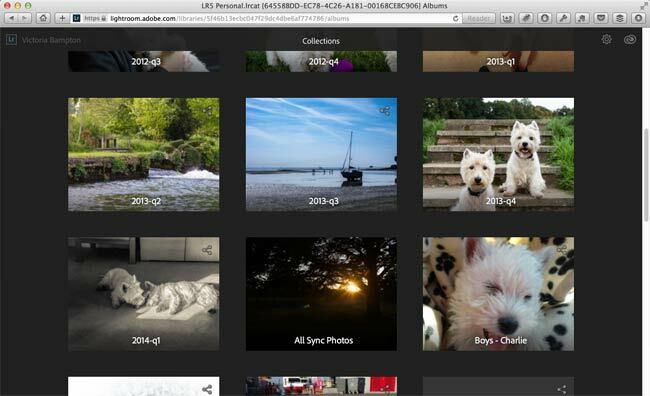 That said, if you don’t need to access the photos when you’re offline, you could open the web view at http://clkuk.tradedoubler.com/click?p(265883)a(2791170)g(22913796)url(http://lightroom.adobe.com) instead of the iPad app – that view is read-only. Perhaps that would work for you? Great app – would buy it, if it wasn`t for the recurring/subscription pricing. I am quite surprised to be honest: I am working in the software industry, and no “professional client” I have worked with, accepts this kind of pricing. Believe me, I tried to get an “adobe-kinda- deal”, as it becomes much more lucrative for the seller. Anyhow: the maximum one can get is “price for the software plus a (marginal) service fee” – colleagues and competitors got the same feedback. Retailers seem to be willing to bear more pain, hein? Well, +1 looking for an alternative to Adobe. A pity, I really liked their software. I’m not a big fan of subscriptions either, but I can understand it for the iPad app – there’s ongoing costs for the cloud model. 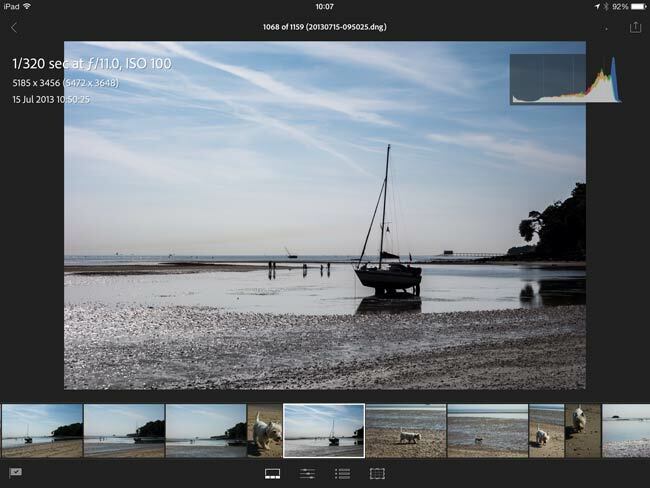 You could take a look at Photosmith for a single purchase iPad app to work with Lightroom. 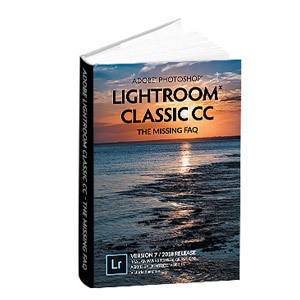 Lightroom itself continues to be available as a perpetual license. to chose and not to have any alternative. If you agree with this point of view please give this feedback to Adobe in case of…..
Long life to the LrQueen !